Traveling from Varanasi to Kathmandu is one of the most popular ways to reach Nepal from India. All options are possible: Direct bus, train, and plane. Here's an overview of each to help you plan your trip. Although it's possible to fly from Varanasi to Kathmandu with either Jet Airways or Air India, it's really not the best option. Currently, all flights go via Delhi. There are no direct flights, making the journey long and costly. The quickest duration is about 6 hours, at a minimum cost of around 12,000 rupees, with Jet Airways. For budget travelers, a train and bus combination journey from Varanasi to Kathmandu is often considered the best option. There's no direct train to Kathmandu, so you'll need to take a train to Gorakhpur in Uttar Pradesh (around three hours from the border in Sunauli), a jeep or bus to the border, and then another jeep or bus to Kathmandu from there. The main railway station at Varanasi is known as Varanasi Junction and its code is BSB. It's a major Indian rail hub and Foreign Tourist Quota tickets are available there. The railway station at Gorakhpur is known as Gorakhpur Junction and its code is GKP. This station is the headquarters of the North Eastern Railway. The best train from Varanasi to Gorakhpur is the 15003 Chauri Chaura Express. It's an overnight train that departs Varanasi Junction daily at 12.35 a.m. and will have you in Gorakhpur at 6.55 a.m., just in time to take a jeep or bus to the border, cross, and take a morning jeep or bus to Kathmandu. The train has all classes of travel. The 15017 Kashi Express is another option for getting from Varanasi to Gorakhpur. However, this train runs during the day (departs at 1.20 p.m. and arrives at 7.10 p.m.), necessitating a stay in horrible Gorakhpur the night. A new direct air-conditioned Varanasi-Kathmandu bus service, called the “Bharat-Nepal Maitri Bus Seva” (India-Nepal Friendship Bus Service), was launched in early March 2015. It was unfortunately suspended from operating in August 2015, due to mismanagement, but has started running again and is referred to as the Kathmandu Seva. The service is operated by the Uttar Pradesh State Road Transport Corporation. It's an AC Volvo bus with seats (not a sleeper bus) that takes approximately 21 hours to complete the journey. It departs Varanasi every second day at 10 p.m. and reaches Kathmandu at 7 p.m. the next day. The route goes via Azamgarh, Gorakhpur and Sunauli, and Bhairahawa. There aren't any toilets on the bus but bathroom breaks are provided every few hours along the way. Tickets can be booked online at RedBus.in, the UPSRTC website, or at the bus stand in Varanasi (located just east of Varanasi Junction train station). Foreigners, do note that the RedBus website doesn't accept international cards but Amazon Pay may be used. It's worth staying a while to soak up Kathmandu's atmosphere. 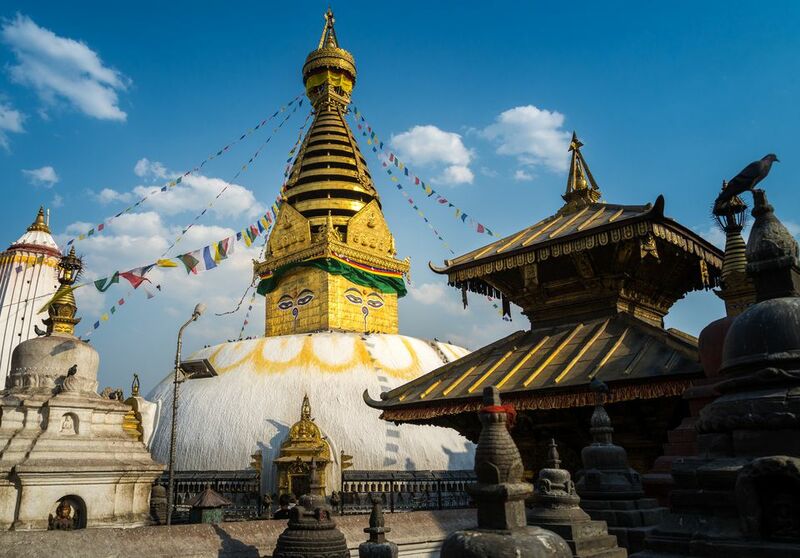 The top things to do in Kathmandu encompass heritage, architecture, culture, spirituality, and shopping.